Angelina Stanford and I started our conversation with a showdown. “I’m going to have to limit you to an hour,” I told her. “You’re going to have a hard time with that,” was her reply. Boy, was she ever right! I just wanted this conversation about fairy tales to go on and on and on. Fairy tales are a staple of many a childhood — I know I spent hours as a kid reading from Grimm and Hans Christian Anderson. 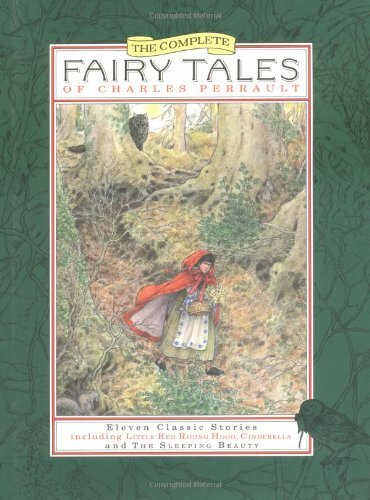 Thanks to the influence of people like Andrew Pudewa I have been sharing original versions of fairy tales with my own kids for years. 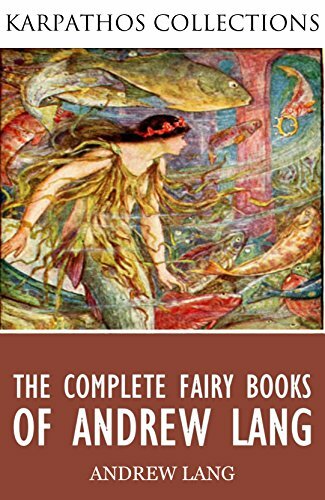 But I have never looked at fairy tales in quite this way before — Angelina and I dig deep into the history, the objections, the importance and so much more. I have a new favorite episode of the podcast. You might too! Enjoy. This is hands down my favorite podcast of any you’ve ever done. And that’s saying something because I really enjoy your podcasts! This was just beyond fascinating though. I’m going to have to listen more than once- there’s so much here. This was a fabulous podcast. Simply amazing – the best I have heard Angelina speak. It was a Fairy Tales 101 and provided foundational information that will make it easier to listen some of her talks I have purchased from Circe. I have a question for her, if she is watching the comments. At what age is it acceptable to begin deeper analysis of fairy tales with children? This interview would be a great introduction to evaluating/unpacking fairy tales with my 13 and 15 year old daughters. I will never look at Fairy Tales the same again. I was avoiding them. After listening to this I pulled out the Blue Fairy book later in the day and picked out a tale to read aloud about Toads and Diamonds. Wow. What an excellent story that can be used to reinforce Biblical concepts about the nature of our words! Thank YOU! 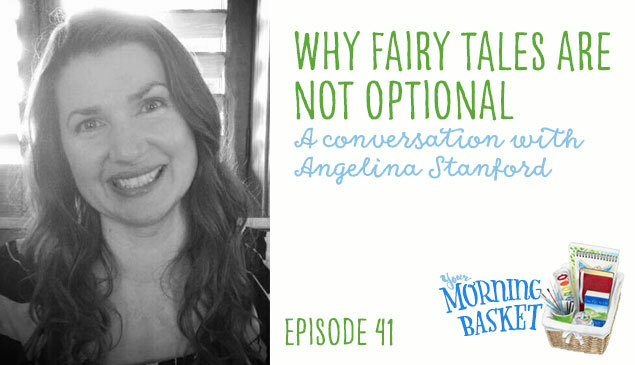 I enjoyed this podcast, and I have also listened to several of Angelina’s talks on fairy tales and found them so fascinating. But I do have a concern, and am hoping maybe Angelina is seeing these comments. After listening to this podcast I finally looked up Bruno Bettelheim, whose research I have heard Angelina mention several times. He is a very controversial figure, and it seems his credentials have been largely debunked; additionally, he has been accused of actually being abusive to the children he worked with. I didn’t do deep research on this, but it does make me wonder how trustworthy his writings are. Hi Brenda – I agree with you about the concerns about Bruno Bettelheim, his temper, and his alleged abuse of children. He may not be the role model we expect. Also, I was concerned when Angelina said the Bible is a fairy tale. I don’t think she understands how offensive this could be to some of her Christian listeners, who believe the Bible is the Word of God. I think that part should have been edited out or at lest clarified. I am going to have to let Angelina come and address the Bettelheim concerns since I know nothing about him beyond what she shared here. I do want to clarify that Angelina never said in the podcast that the Bible is a fairy tale. She said that there are fairy tale elements in Bible stories — dragons, giants, etc. At one point she says that the gospel story is a fairy tale, but it is clear from the context of the conversation at that point that she is not calling the gospel a made-up story, but instead the original “story of wonder” and “truer than true” story that all other fairy tales point back to. Wow. This is an awesome(!) episode! So fascinating, deep, I feel like I’ve been listening to a college lecture! 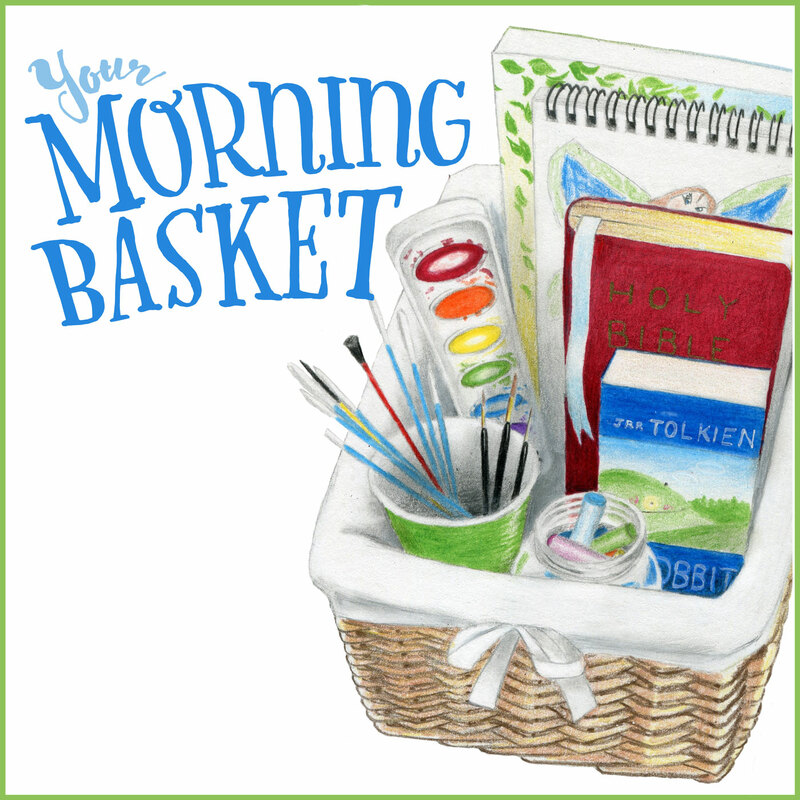 Hi Fans of Your Morning Basket!!! On behalf of Lauri, real apologies for mixup in code! 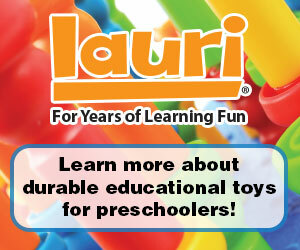 Please use code 30LAURI on Amazon for your discount. 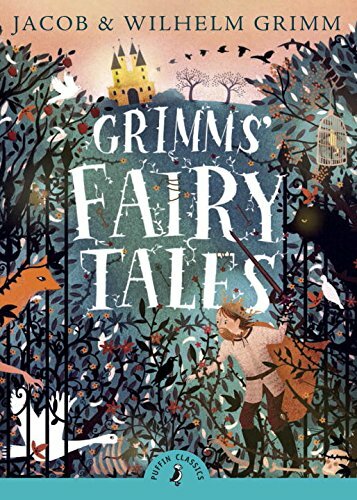 Can anyone please recommend a hardcover/collectors editions of Grimms fairytales? Could you please give a few examples of realistic stories that you would avoid? This is one of my favorite podcasts! The topic, the passion for the subject matter, the right questions. I am sending it to family and friends that I feel would be interested and plan to listen to it again. Thank you! This was a fantastic podcast!!! Thank you! 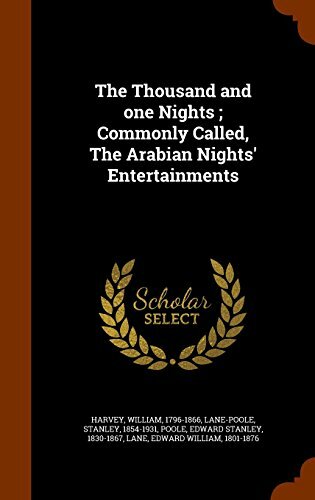 Can you tell me if this version of 1001 nights has sexually inappropriate content? Some do. Thanks! Samara – do not know if it does or not. Sorry! This is one of the best podcasts I’ve ever heard! I’m a fairy tale geek but I have a hard time with defending my position on that. So helpful! I also liked the idea of Christ as a fairy tale. I see where she is coming from. Thank you! This was one of the best podcasts I have heard. Entertaining, informative and helped me in my quest to be a better homeschool teacher. Angelina is amazing! I would really like to find some of these fairy tales in their original form. I went to my library yesterday and even asked the librarian and they weren’t helpful. They had a bunch of versions of the fairy tales in one section, but none of them in their original stories. Googling to try and find titles I am finding trouble recognizing what I should be looking for. I must say that I am new to all of this. Reading more with my kids has been one of my #1 goals for this school year. I did not read as a child nor was I read to, so I have very little experience even with fairy tales and how to find good books. We had just finished the real Pinocchio when I listen to this podcast and couldnt agree more. I loved reading that book to my kids and they loved it too. There was so much to talk about and so much to learn from that book. I highly recommend it for a house full of boys too. So please help with finding these originals please. Do you mean in their original languages? If not, then I would just do a google search for good translations of Grimm’s, etc. The Grimms stories are actually not original, per se, since they were simply coalescing and writing down a version of what were originally oral stories passed down. In a way, there are no originals of those stories, just good renderings and their solid translations. Pam, I agree! I could have listened to Angelina all day! This might be the best podcast yet! Thank you for sharing!! Fabulous! I wish that I had teachers like Angelina. I LOVE this podcast! I’m so thankful someone out there recognizes that we need to be raising kids who aren’t weenies using things like fairy tales to help them see the dragons they face in real life are able to be vanquished by Christ, our only hope! Wow! This was so enlightening!! Okay, I have long gotten behind the idea that fairy tales, though at times really hard for grown ups to stomach and read aloud, are good for children because of both the cultural transmission (and encounter – if telling a tale from outside the child’s culture) and the archetypal presentation of good, evil, and justice. However, because of fairy tales (I must admit, the originals as well as the Disney – I don’t buy it that fairy tales don’t contribute to a glorification of female beauty as part of a character’s worth, even though I’ve heard arguments that the beauty is often representational – our cultural emphasis on physical looks is too strong to get away with that – of course, Disney just grinds it in), I grew up with a powerful sense that beauty and goodness were inextricably linked, and that because I was not a typically beautiful child, I must identify more with the rejected stepsisters, if I could enter into the story at all. This was more painful for me, as a voracious reader and lover of “fairy land” and goodness, than any Seventeen magazine or photoshopped ad. The only one who really challenged this idea, I believe, was George MacDonald, whose good characters were often depicted as simultaneously or interchangeably young and old, physically beautiful and unattractive, depending on what was needed at the moment. Actually, right, the stepsisters weren’t depicted as ugly in every version. Perhaps the point is that I couldn’t identify with the good character and ergo – to my young mind – wasn’t included in the “happily ever after” and the triumph and reconciliation of the endings.